Hattieville police made a gun bust on Sunday during which they intercepted a trio of men inside a pickup and found a nine millimetre firearm and four live rounds of ammunition. As a result, the driver and owner of the vehicle, twenty-five-year-old Tremaine Williams as well as brothers, Anthony and Andrew Lewis were all charged for the offenses of kept unlicensed firearm and kept unlicensed ammunition. 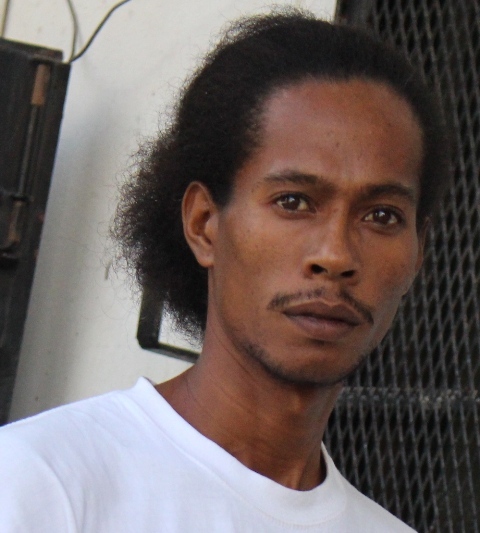 The trio, after two nights in police custody, appeared this morning in the Belize City Magistrate’s Court where they were read two firearm related offenses. Andrew pleaded guilty to both charges and was informed by Magistrate Michelle Trap that he was facing a mandatory minimum sentence of five years. According to the police, two officers on duty stopped Williams’ vehicle and in a search, found a firearm and ammo hidden under the driver’s seat of the vehicle. This morning, Andrew told the court that Tremaine and Anthony had no idea about the gun he had placed in the vehicle which was for his own protection. Magistrate Trapp struck out the charges against Tremaine and Anthony and told them they were free to go. She then sentenced Andrew to two five-year sentences to run concurrently which means he will only serve five years.